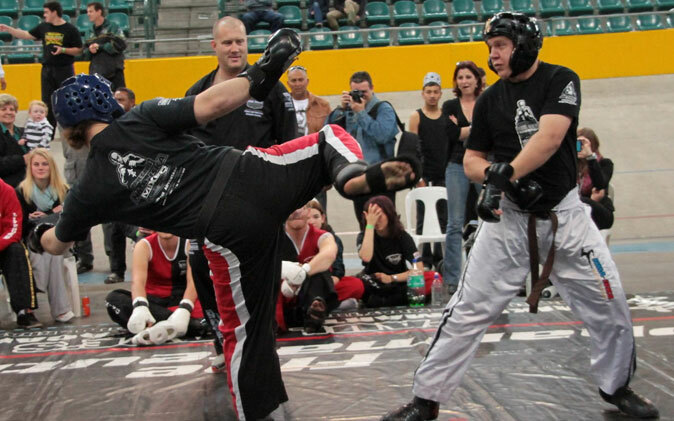 All ISKA World Series matches and events are organized under the auspices of and with the consent of the ISKA World Federation and are subject to the ISKA World Series regulations. To organize matches and events under the auspices of the NMA/ISKA, the written permission of the management of the NMA/ISKA is required, known as the match license. Matches and events can only be organized by ISKA as the main promoter affiliated with the NMA/ISKA or promoters recognized as such by the NMA/ISKA that have been granted a so-called promoters license by the NMA/ISKA or by third parties to whom incidental written consent has been granted. The match is a stand-up fight subject to the following regulations fought between two equally matched fighters at the same level and in the same specified weight class. Matches take place in a square ring surrounded by four ropes interconnected by means of vertical cords or bands. The dimensions of the square of ropes should be at least 5 m x 5 m for minor events and no larger than 6 m x 6 m for large events. The ring floor should be a safe construction and covered by canvas that should not be slippery before and/or during a fight. The ropes should be wrapped in a soft material and may not cause damage or injury to fighters moving alongside them. The opposite corners of the ring should be equipped with a red and a blue post for the contestants with two white neutral corners in between. The red corner must always be to the left of the jury table. A round iron container for water with a stool/seat for the fighter on which he sits during the intervals between rounds. Contestants wear kickboxing trunks that stop above the knee. In the case of male contestants the upper body is uncovered. Female contestants also wear kickboxing trunks ending above the knee but the upper body is covered and breast protection is worn. It is permitted to wear a short legging under the kickboxing trunks. Logos and/or the names of sponsors on the trunks are permitted provided that prior approval has been requested from the promoter and has been granted. Writing on the bare torso is not permitted. The kickboxing trunks should be checked for possible harmful materials before the match starts. 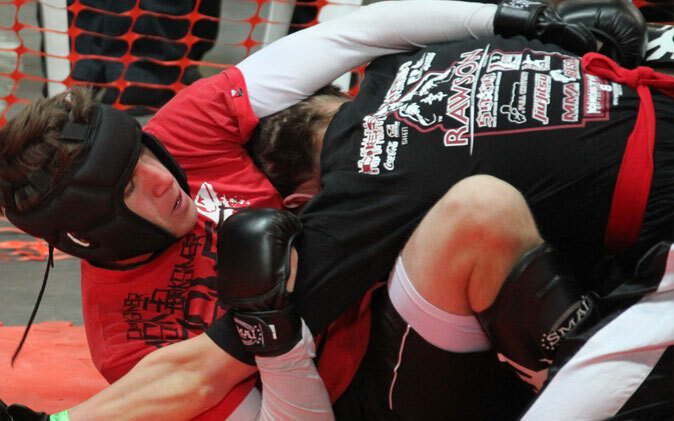 Contestants are obliged to wear mouth guards and groin guards during the fights. The mouth guards and groin guards need to have been approved by a regulation official. Contestants wear boxing gloves of equal weight. The gloves should be taped in such a way that no laces or other loose ends are visible and should bear a regulation official’s stamp of approval. 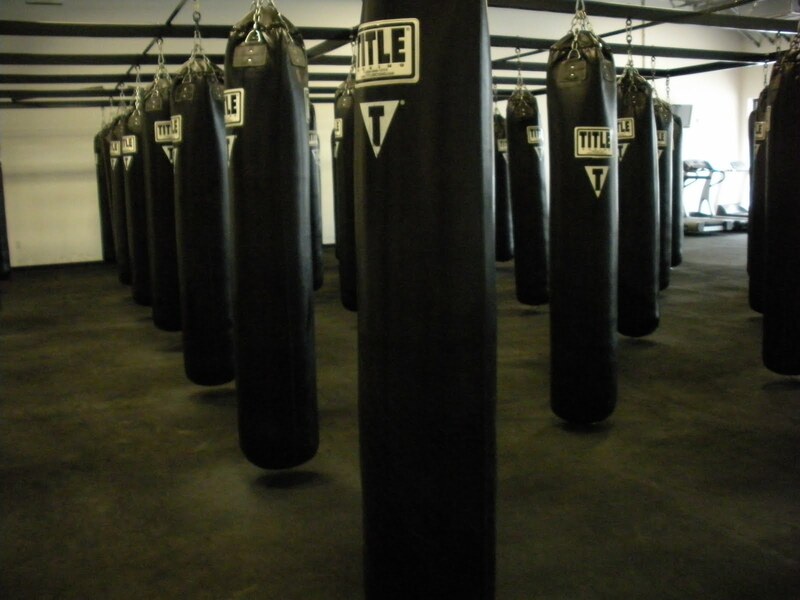 The weight of the gloves is determined by the weight class – To Be Announced. Corner men must be dressed in clean, undamaged sportswear and shoes. Jeans and shirts other than team shirts are not allowed. The match consists of three rounds of two minutes for class C matches, three rounds of three minutes for class B contests, three or five rounds of three minutes for class A matches, two or three rounds of two or three minutes for tournament matches. Class A matches may be extended by one or two extra rounds. Additional rules may be applied to tournaments, the so-called ranking tournament rules as indicated in appendix A. The match consists of two or three rounds of two or three minutes in accordance with the tournament form, ranking tournament or Grand Prix. 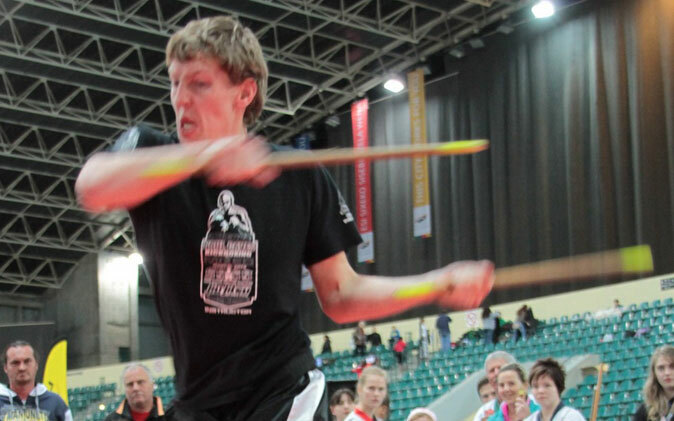 In the event of a draw, an extra round can be held or a decision taken on the basis of the ranking tournament rules. Final matches can be extended by two extra rounds. In the event of extra rounds, the scores of the previous rounds are cancelled out and only the last round counts. In the event a draw results again, the highest ranking fighter wins. 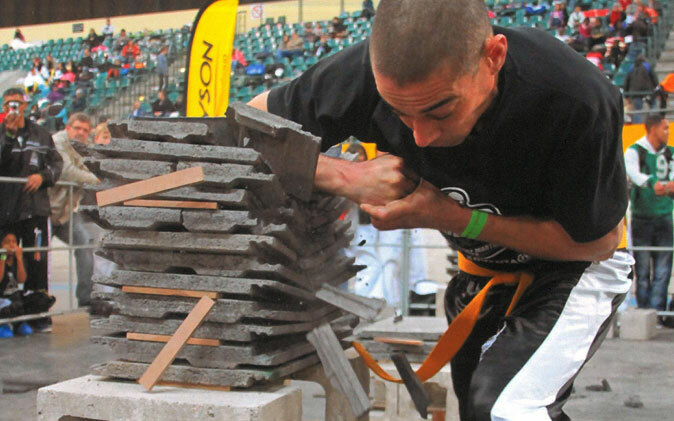 A ISKA World Series International World Title fight always consists of five rounds of three minutes each. In exceptional cases of a draw after five rounds, the champion remains the champion. In the event of a vacant title, the highest ranking fighter wins. Titles with a maximum weight can only be won or defended if both fighters are at or under the proper weight. If the champion cannot reach the right weight within two hours following the official weighing and he is obliged to defend his title, he loses his title. If the match is then won by the challenger, he is the new champion. If the reigning champion wins the match, the title becomes vacant as the champion cannot retain his title as he did not achieve the title weight. If the challenger is too heavy and the fight continues and the champion was at the required weight, then the latter will remain the champion irrespective of the result of the fight. If both fighters are too heavy and the champion is obliged to defend his title, the title is vacant after the match. The champion is obliged to defend his title at least once a year. If the title cannot be defended within a year, it will become vacant. Anyone challenging the champion must be among the first 12 fighters in the official NMA/ISKA ranking. All disputes concerning the title which have not been included in these regulations will be presented for arbitration to the NMA/ISKA’s arbitration committee. One-minute intervals take place between the rounds. The interval time for title fights of five three-minute rounds is one and a half minutes. In the event the fight is extended with extra rounds, the interval between the rounds is also fixed at one and a half minutes from the first extra round. For reasons of safety, a fighter may never fight more than 13 three-minute rounds in one day. The rule for so-called ranking tournaments is that the total effective match time may not last longer than a total of 27 minutes on one and the same day. The NMA/ISKA has an official ranking that is based on the performance and popularity of a fighter. During the Ranking Year, ranking is determined by winning or losing so-called ranking points. Ranking points can only be won in the so-called ranking tournaments or in the single matches indicated by NMA/ISKA. Determined by winning or losing so-called ranking points. Points victory: The three jury members give their scores for the fighters after each round. The jury members can determine the scores with the aid of a mechanical score-keeping device know as a “clicker”. A fully struck technique (clean strike) counts towards the score, a technique that is blocked or warded off does not count towards the score.The clicker is only an aid to the jury’s assessment and is not decisive for the score at the end of the round. The first aspects jury members must take into account is the effectiveness and the force with which the technique was performed. Hence a minimum difference in points recorded with the clicker will never be the decisive factor. In addition to the effectiveness and force of the strike techniques delivered, the overall impression of the round is of importance for that round’s score. This includes effective attack techniques (creating and using openings in the opponent’s defence), effective defence techniques (evading, sliding, blocking). In their assessment, the jury must also attach greater value to an attacking fighter than to a defensive fighter. Ultimately, each jury member gives the round a score of 10 for the adjudicated winner and a nine for the adjudicated loser in the round in question.In addition, any minus points caused by warnings and/or knockdowns will later be deducted from these scores. If the match lasts for the full number of rounds, all points assessed at the end of the fight are added together and the scorekeeper indicates which corner is the winner. It should, however, be noted that a contestant can only be declared the winner if at least two of the three jury members have declared him the winner. The scores of points for the round fought must be made known during the interval after this round and must also be made visible for the public on the monitors/screens or by way of an announcement. Knockout: If a contestant is struck in such a way that he or she is incapable of resuming the fight within the referee’s ten-count. Knockout: If a contestant shows no will to resume the fight or if the referee is of the opinion that the contestant is incapable of resuming the fight. Knockout: If a contestant has been knocked down three times in one and the same round or four times in one and the same fight or twice in the same round and three times in one and the same fight of a tournament fight, with the exception of the final. Technical knockout: If a contestant is no longer capable of taking part in the fight owing to an injury not caused by a prohibited technique. Technical knockout: If the contestant does not leave his corner to take part in the fight following the sounding of the bell. Technical knockout: If the referee is of the opinion that a contestant is totally outclassed and is physically far less fit. Technical knockout: If the doctor ascertains that a contestant has sustained an injury or damage, not caused by an irregular technique, of such a serious nature that it is no longer safe for the contestant to resume the fight. Doctor’s stoppage. Technical knockout: If a contestant or his coach/corner man gives up the fight. The contestant indicates this to the referee or his corner man. The corner man then throws in the towel or the sponge. Disqualification: If the opponent is disqualified for reasons warranting disqualification. A fighter deliberately uses a prohibited technique and the referee disqualifies him for that reason. A fighter arrives too late or does not turn up for his match. A fighter uses a prohibited technique as described in Article 9 for which the referee disqualifies him. If a corner man enters the ring during the fight or touches one of the fighters during the fight. If a fighter tests positive for the doping test. If three warnings have been given; red card. Walkover: If the opponent does not turn up. Draw: If the match is allowed to end in a draw and if, following the end of all rounds, at least two of the three jury members do not pronounce one of the fighters a winner. Draw: If both fighters go down at the same time and neither can resume the fight within the referee’s ten-count. Draw: If, as a result of accidental injury, one of the fighters is incapable of continuing to fight and the first round has not yet ended. In that case, it is decided that in fact no actual match was fought that could be assessed by the jury. Draw: Special rules for ranking tournaments are specified in appendix A of the Ranking Tournament rules. The score of the match can only be adjudicated if at least one round is fought. Only then can one speak of a match. Any part of his body other than his feet hit the ring floor as a result of an attack and if according to the assessment of the referee he is unable to immediately stand up and resume the fight. He hangs in or over the ropes defencelessly. He no longer wishes to continue the fight. He has, according to the referee’s assessment, sustained such a degree of injury that the referee wishes to give him eight counts of rest to recover. If the referee decides that he is DOWN, then he will indicate this by the so-called DOWN call and gesture. The referee starts the DOWN count after he has sent the opponent to the farthest removed neutral corner. The opponent waits in his neutral corner until the referee gives him permission to leave this corner and resume the fight. If the opponent leaves his neutral corner before the referee gives the sign, the counting stops and only starts again once the opponent has returned to his neutral corner. During the DOWN count it is not permitted for either of the corner men to approach his fighter in any way. The referee is obliged to continue counting until the eighth count and then assesses whether the fighter is capable of resuming the fight in a responsible manner. If that is the case, the referee gives the command FIGHT. If, during the course of the count as described above, the time of the round ends, the timekeeper may not sound the gong/bell before the end of the round but must wait until the referee has counted to the eighth count and, once the referee has given the fight command, the timekeeper must immediately sound the gong/bell signalling the end of the round. If at the eighth count a fighter is incapable of resuming the match, the referee will then continue to count to ten, which means the fighter will lose on the grounds of KO. This last rule does not apply if the counting takes place in the last round of the match. In that case the timekeeper will sound the gong/bell as usual at the time that the official match time has ended. Counting then ceases immediately and no account is taken of these eight counts in counting the points. This is known as “Saved by the bell”. If the fighter in question is, however, incapable of walking independently to his own corner at that time, the decision to declare loss by KO is taken after all. If at the eighth count the fighter in question is, for whatever reason in the opinion of the referee, not standing in the proper position to resume the fight, the referee will continue to count to ten, which means the fighter will lose the match on the grounds of a technical knockout. While the referee is counting it is not permitted for the coach or one of the seconds of the fighter who is down to throw in the towel or indicate in any way that the fight is being given up. In the exceptional case of both fighters being knocked DOWN, the referee will begin counting for both fighters at once. After the eighth count, the referee will assess whether both fighters are deemed capable of resuming the fight. If, in the opinion of the referee, this is the case, then the match can be resumed. If one of the two fighters is still deemed incapable of resuming the match after the eighth count, but his opponent is deemed capable, then the latter wins by technical knockout. If neither contestant is capable of resuming the fight at the eighth (8th) count, then the referee has two options: (a) the fighter who has scored the most points at that time in the match wins the fight on points or (b) in the event that the match ends at that time and both fighters have scored the same number of points, then the result of the match is in fact: “no contest”. The referee ensures that in counting to eight (8) or ten (10) that a full second must pass between every two counts. Knee techniques: front knee, turning knee, jumping knee, knee on the leg inside and outside. Deliberately spitting out the mouth guard. Other unsportsmanlike conduct in general. Caution A caution is given in the event of a minor violation. Warning In the event of repetition or a major violation, the referee will issue a public warning. The referee makes this known to the head juror by word and gesture (yellow card). A warning is penalised by deducting one point from the score. The fighter was given one or two warnings earlier in the match. The minus points are first deduced from the points scored before the final score is made known. In granting points and/or strikes, the effectiveness and the power of the legitimate techniques and the damage inflicted on the opponent must be taken into account. Damage inflicted on the opponent. Number of clean strikes with spectacular techniques (flying and turning techniques): 2 “clicks”. Number of clean strikes with normal techniques: 1 “click”. It should be noted that in assessing the general impression, attack is valued higher than defence. If no differences can be indicated after an assessment of all these points by a jury member, he will then award both contestants in this round a score of 10. Both fighters are awarded 10 points. On the basis of the round fought, the jury members assess who is the lesser fighter of the round. One point is then deducted from this fighter such that after the round the jury awards 10-9 points. The jury must also deduct points for any warnings and knockdowns. If the jury believes that both fighters must be assessed equally for the round then they note a score of 10-10. After all jury members have determined their score for the round fought, the score notes are picked up by the assistant scorekeeper and taken to the head juror/scorekeeper. The head juror checks the score and passes on each jury member’s score for the round to the ring announcer and the coordinators to display the scores on the monitor/screen. At the end of the match, all round scores are added up and the head juror/scorekeeper announces the winner. If a fighter has gone DOWN once, one point is deducted from the final score. .If a fighter has been given a warning, one point is deducted from the final score. Please note: It may occur that a fighter is superior in a round but nevertheless goes down at the end of that round This round must then be awarded a score of 10-9 with one knockdown for the superior fighter, resulting in a score of 9-9. If the lesser fighter goes down, the score is 10-9 with one knockdown for the lesser fighter, resulting in a score of 10-8. The difference between both fighters after the round is clear but the better fighter has been given one warning. The lesser fighter is deducted a point as he was the inferior fighter and the better fighter is deducted one point for the warning. The score is therefore 9-9 (10-1 and 10-1). In the event a tournament match ends in a draw, the match is extended by one round. This extra fourth round is then decisive for the score and the points in the previous rounds are cancelled. If following the extra round the score is again a draw, then the rule is that the fighter highest in the NMA/ISKA ranking is given the benefit of the doubt and is therefore pronounced the winner to advance to the next round. In the case of the final match, if the match ends in a draw after three rounds, it will be extended by two extra rounds and again it is only these two rounds that determine the score. The previous three rounds are then irrelevant. Title fights that are fought in five three-minute rounds do not have an extra round in the event of a draw. The rule here is that the champion retains his title. In the event of a vacant title, the jury, in the case of a draw after five rounds, must review its assessment and again check the score notes for minimal differences in, for example, strikes and the overall impression of the match. Other rules apply to the so-called ranking tournaments and are specified in appendix A. The discrepancy between the strength of the participants is too great (the weaker is outclassed). In that case, the best fighter becomes the winner by way of intervention. (RSC). The referee is of the opinion that to continue the match between the two participants would be too gruelling. In that case no result is made known. (NO CONTEST). The match between the two participants escalates into a common brawl within the ring with no regard for the regulations. No result is made known. (NO CONTEST). In his opinion continuation of the match for other reasons could be dangerous for one of the contestants. His opponent is pronounced the winner by RSC. One or both contestants has sustained a more or less ostensibly serious injury, and if, after consulting with the ring doctor, the latter advises him to suspend the match. The ring doctor, without having first been consulted, advises him to stop the match. A contestant sustains an injury such that continuation of the match would put the sport in a negative light. In the event the referee wishes to consult the ring doctor on an injury sustained by one of the fighters, he will stop the match and refer the uninjured fighter to a neutral corner. He will then request the ring doctor to enter the ring in order to examine the injury. The trainer must not enter the ring. The ring doctor will advise the referee whether or not to continue the match. The referee is obliged to follow the ring doctor’s advice. If the referee decides to suspend the match, he must inform the jury members of his decision and provide the reasons for this decision. The referee is the responsible person during the match. Overseeing the match is the exclusive task of the referee. If a match must be terminated prematurely owing to irregularities in the hall, a defect in the ring, lighting failure and other such circumstances, the result is: NO CONTEST. The referee is authorised to suspend the match if language and/or shouting can be heard from the hall that is/are in conflict with the morals, values and standards of society. In the event of injuries during matches, the time is stopped and, following a signal from the referee, the injured person is treated by the ring doctor. The latter decides whether the fight can be resumed. The ring can doctor provide minimal care. If the injury was caused by a prohibited move, then the contestant who caused the injury is disqualified. If the injury was self-inflicted by the injured contestant or was caused as a result of a legitimate technique and the match is suspended, then this is a case of medical intervention. The use of stimulants before or during matches is forbidden. Fighters are, if desired, obliged to take part in a doping test. Stimulants and doping include, among other things, cerebral stimulants, amphetamines and anabolic steroids. The application of bandages and/or tape on the hands is solely intended to prevent injury. The tape is used, among other things, to keep bandages in place. Building up layers of tape to pad the knuckles is forbidden. It is permitted to tape the bandages around or on the knuckles but the thickness of the layer of tape applied must not exceed 2 mm. Normal soft bandages bound around the wrist and hand are allowed to be taped up to around 2 cm under the knuckles. Bandages and tapes on a contestant’s hands must be examined and approved by an official. Only if these bear and official’s stamp or print may the match gloves be donned. Bandages on places other than the hands must be approved by the ring doctor and requests to this end must be submitted in advance to the head juror after the rules meeting. It is forbidden to hold any object on or in the hands or fingers and the use of inner gloves is also prohibited. Taping ankles for reinforcement is allowed provided no hard materials are located on or under the tape and the tape is covered by an ankle stocking. A taped ankle without ankle stocking is not permitted. All other materials contestants wish to use to protect limbs or avoid injuries are only permitted with the consent of the head juror and/or the ring doctor. Request for consent should be submitted after the rules meeting and monitoring and initialling of all materials is always carried before the match begins. The use of Vaseline on the face is permitted to a limited extent. The referee determines whether or not this is the case. The presence of oils on fighters’ bodies is prohibited. All fighters must put their gloves on in the presence of an official who then tapes and initials them. 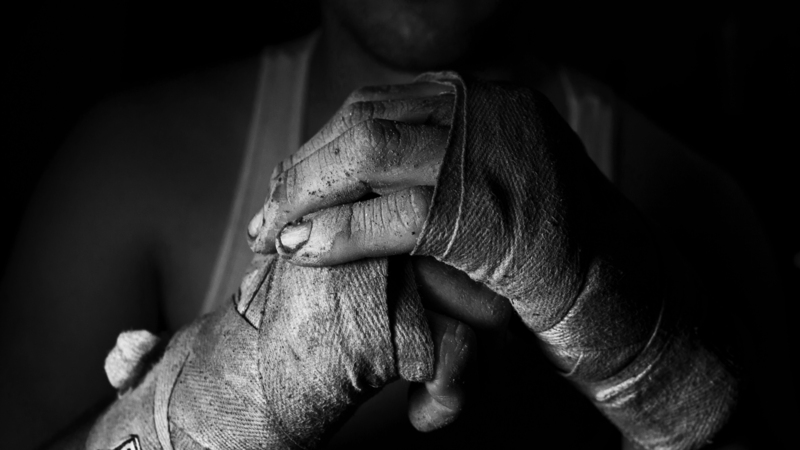 The gloves may only be taken off when the match is over and not in the ring but only once the fighter has left the ring. All fighters must submit their medicals ten days prior to the match date. The organisation indicates which medical tests and blood tests have to be complied with. On the day of the match, fighters must also undergo a so-called doctor’s check prior to the match, carried out by the ring doctor. The weight of all fighters is monitored on the day prior to the match. Fighters are obliged to be at their agreed weight. If a fighter has excess weight, he will be given the assignment to achieve the proper, agreed weight within two hours. If he fails to achieve the agreed weight, then he will, in the case of a tournament match, be disqualified from the match. Each participant may be supported by an trainer/coach and two seconds. Only one second is allowed to administer care in the ring inside the ropes. In total, the fighter may be assisted by three corner men. The names of these three corner men must be submitted during the rules meeting. The trainer, seconds and the contestants must be present at least two hours before the matches start for the weighing in and medical examination. The trainer must ensure that a contestant is entirely kitted out in match attire, is wearing the mandatory mouth guard and groin guard and the permitted boxing gloves. The trainer and seconds are forbidden from entering the ring during the match. The ring may only be entered on the instructions of the referee and in the rest intervals of the match. By means of throwing the towel or sponge into the ring, the trainer can prematurely end his contestant’s participation in the match. It is not permitted to withdraw from the match while the referee is counting in the event of a knockdown. If the trainer does throw the towel or sponge into the ring while the referee is counting, the referee will ignore this and continue to count as usual. If a contestant is considered capable of resuming the fight before the eighth count and has assumed fighting stance, then the referee will terminate the match at that time and declare the contestant in question the loser by submission. When the signal “seconds out” is given by the timekeeper or announcer before the beginning of a round, the trainer and seconds must immediately leave the ring and not enter it before the end of the round has been announced. The trainer and the seconds must ensure the timely positioning and removal of their contestant’s chair. It is strictly forbidden to deform or break the gloves. Hitting the ring mat as a gesture of encouragement is forbidden. Throwing refreshing substances such as water and other objects at contestants is also forbidden. Trainers and seconds must conduct themselves in accordance with the regulations. They may be given a warning by the referee if they fail to observe the regulations. In the event of persistent violation, they may be removed from the ring. The referee also has the option of issuing a warning to or disqualifying the contestant whose trainer is in violation. The trainers and seconds must be dressed in sportswear that is sportsmanlike, clean and undamaged. During the match the trainers and seconds must sit on the designated seats in the designated area. The head coach is also responsible for the conduct of his seconds. If the referee wishes to consult with the ring doctor during the match owing to an injury and requests the ring doctor to enter the ring for that purpose, the relevant trainer or second may not accompany the doctor into the ring. Trainers or seconds are prohibited from entering the ring in such cases. Trainers and seconds are prohibited from approaching the jury members during the matches or to protest against a decision made by the referee or match management. Protests may only be submitted in writing within one month after the event. The surety fees for processing a protest amount to R750. If a fighter is disqualified for intentionally using a prohibited technique and is disqualified on these grounds by the referee, the fighter will be penalised with a financial fine of a maximum of 100% of the appearance/entry money and suspended from partaking in matches for a maximum of one year. If the fighter is disqualified on the basis of a different rule in the regulations leading to disqualification, the fighter will be penalised with a financial fine of a maximum of 100% of the appearance money / entry fee and suspended from partaking in matches for a maximum of one year. For tournaments other than ranking tournaments, one or two additional matches may be added to ensure a fighter is on standby for the tournament if, owing to circumstances, one of the final eight qualified fighters is unable to participate further in the final tournament. The additional match or matches will at any rate be fought before the final tournament matches. The fighter’s opponent who is entitled to proceed further unless this right was withdrawn based on convincing reasons. The winner of the first reserve match. The winner of the second reserve match. The loser of the first reserve match. The loser of the second reserve match. If only one reserve match was held, the right of substitution falls to the loser of this reserve match if the winner waives this right. For the ranking tournaments please see the ranking tournament rules in appendix A. The matches are led and supported by at least two referees of which one enters the ring. The referee is the highest competent authority in terms of the assessment of the match. Referees are also authorised and entrusted with the official weighing of the fighters. The command “break” is used by the referee to interrupt an action of the fighters and to separate the fighters after which they must take a step backwards. The referee steps in between both fighters. As soon as he steps back the fighters resume the fight with or without the instruction “fight”. The command “stop” is used by the referee in order to stop the fight, at the end of a round or prior to a caution or public warning. The referee begins or resumes the fight with the command “fight”. The matches are adjudicated by a minimum of three and a maximum of five jury members and a head juror. The jury members are authorized to award points and submit an assessment for each round of a match. The head juror determines the final score of the match based on the jury’s findings. The head juror can schedule a short interval for a review of video tapes if he suspects an incorrect jury decision has been taken by one or more jury members. The ring officials are responsible for ensuring circumstances in, around and outside the ring are in accordance with the rules as well as supervising the corner men. There must be a minimum of two and a maximum of four ring officials. The ring officials accompany the fighters to the ring check prior to the event. A doctor must be present at all times at matches under the auspices of NMA/ISKA. The ring doctor can take measures he considers necessary from a medical viewpoint before and during the matches or have these carried out on his behalf. The measures prescribed by the ring doctor are set out in the match report and the ring doctor also communicates his findings to the incumbent referee. Before the start of the match, the doctor must verify that no changes have occurred to any contestant since the time of the annual, mandatory medical examination which would make participation irresponsible. During the match or the intervals between the bouts, the ring doctor is obliged at the request of the referee and/or trainer to examine any wounds or the seriousness of a fighter’s injury and, if necessary, to advise the referee and/or trainer to suspend the match. Only the referee may make such a request during the match. The advice given is binding. If the referee wishes to hear the ring doctor’s advice with regard to the seriousness of a fighter’s injury, he stops the match and requests the ring doctor to examine the fighter. Only the ring doctor enters the ring during this examination. The trainer is forbidden from accompanying the ring doctor. Only the ring doctor and the referee are present during this examination. Where applicable, the ring doctor will set out a proposal with respect to the duration of an appearance ban for a fighter in the medical report immediately after the match, in accordance with the provisions drawn up by the medical commission. Based on the medical report submitted, the medical commission will take a decision and communicate this to the management. The management will immediately inform the fighter, association and manager in question of this decision. This decision must be recorded in the appearance booklet of the fighter in question. The ring doctor should include contestants’ experiences in the medical report insofar as medically relevant. The knockouts to the head and/or body, significant injuries, RSCs must always be recorded. The medical report must be detailed, specifying details such as the nature of the KOs, duration of loss of consciousness, retrograde amnesia, the nature of injuries and medical findings at the end of the match. For the purpose of an accurate medical report, consultation with the jury members and/or the referee will in many cases be necessary. If the ring doctor ascertains that a contestant is experiencing functional disorders during the course of the match such that, in his/her opinion, continuing the match would be irresponsible, he/she is authorised to stop the match. The ring doctor sends the medical documents to the medical commission of NMA/ISKA. The ring doctor must, if he/she considers this necessary from a medical viewpoint, give the contestant a letter for his/her general practitioner stating the nature of injury and the ring doctor’s own findings and recommendations in order to assure adequate medical follow-up and aftercare. The ring doctor will not leave his place in the ring during the match; if the ring doctor must nevertheless leave the ring he must inform the head juror and/or announcer of this in order for the referee to either interrupt or stop the match; no matches may continue during the absence of the ring doctor. The backstage officials are taxed with monitoring the bandages and gloves and must ensure that the fighters are ready on time for the upcoming fight. The timekeeper is responsible for monitoring the duration of the rounds of a match. The timekeeper checks the duration of the rounds and the intervals by means of clock/stopwatch. Ten seconds before the end of the interval the timekeeper signals twice on the gong, and the announcer then issues the command “Seconds go”; at that point, the coaches and seconds must leave the ring immediately, taking their care attributes with them. By sounding the gong, the timekeeper signals the beginning and end of the rounds for the ring referee. The gong is therefore an instruction for the ring referee. The scorekeeper/main juror monitors the score sheets and keeps a record of the total scores of points per round and the total scores of points per match. The score is communicated to the announcer and the coordinators so it can be displayed on the score board. The scorekeeper keeps and archives the score sheets for the NMA/ISKA. The announcer is responsible for announcing the match, warnings and the scores. Ten seconds before the beginning of a round the announcer, in conjunction with the timekeeper, issues the command “seconds out” and clearly indicates the number of the round. 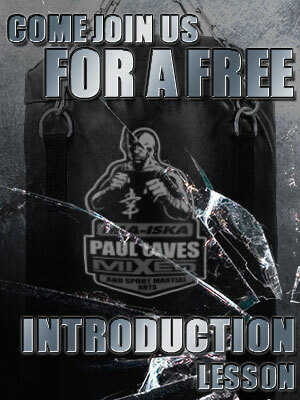 All fighters and coaches are deemed to be familiar with the NMA/ISKA rules. Appeals pleading unfamiliarity with the rules will not be accepted. Each event must be preceded by a rules meeting. Each form of protest with respect to decisions and/or regulations may solely be submitted in writing to the NMA- ISKA Federation arbitration committee within one month following the occurrence of the dispute. Surety costs in the amount of R750 are charged for processing the dispute by the committee. These costs must be paid to NMA/ISKA at the time the protest is submitted and will be refunded if the protest of the party that has initiated the dispute is upheld. Raising protests or bringing a dispute to the attention of an official during the event can be penalised either with immediate consequences or future consequences in the form of a reprimand equivalent to a yellow card and the accompanying financial sanction. The above rules of the NMA-ISKA Series will always be subordinate and consequently may be revoked or modified depending on the applicable laws and/or ethical standards. All affairs or disputes that have not been provided for in the foregoing rules will at all times be presented to NMA/ISKA for consideration, assessment and arbitration. The arbitration committee’s final decision is binding and cannot be appealed.